Activities: THIS AIRPORT IS CLOSED. We went to inspect in August 2011, and there was no airport. Local people said the airport kept getting flooded, so they went away. // The airport was opened as part of Tango Squadron for Sight-seeing flights over Ayutthaya. Flying Club. Ultralight flying. Paramotor instruction. R/C flying. Contact Captain Boonyarit 0818665810 for club membership fees and instruction rates. 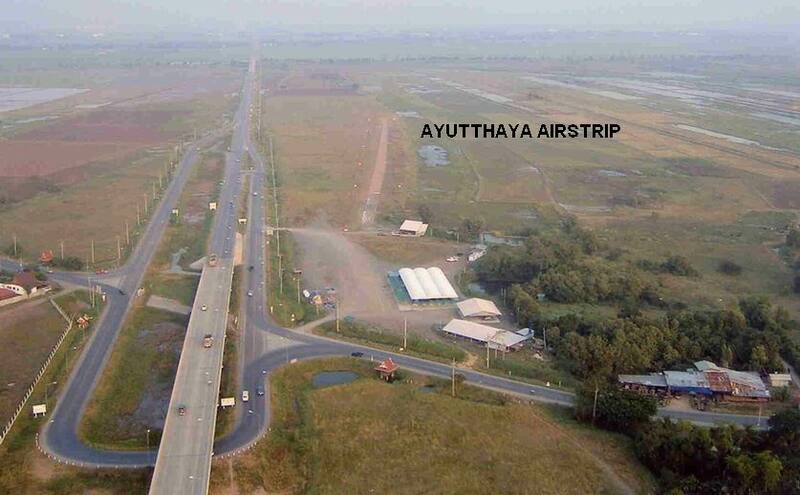 Other links: Airstrip has just opened and received DOA approval -- July 2003 // for more information, email Captain -- anchan70@hotmail.com // www.ayutthaya-flyingclub.com (webpage not active in Aug 2011) // Note -- AIC 2/05 (29aug2005) lists this airfield as "Temporary Landing Area for Aircraft" (no longer just for ultralights).